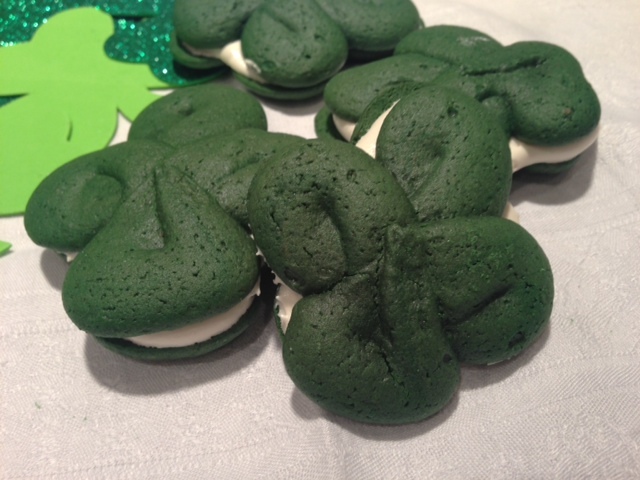 Happy St Patrick’s Day everyone!!! St Patrick’s Day sure looks like a lot of fun. Looking at picture of green tainted rivers, parades and green beer, it certainly looks like many people are having a great time. I hope one day I will get to see that too. It must be quite impressive to see a river green!! Do you think that I would enjoy this holiday even though I don’t like to drink beer.. Would that make a difference? Well Spartanburg, SC, had nothing of that. It was a very quiet Sunday here. I certainly enjoyed the beautiful weather, and the warm temperature and sure hope that Spring is here to stay! 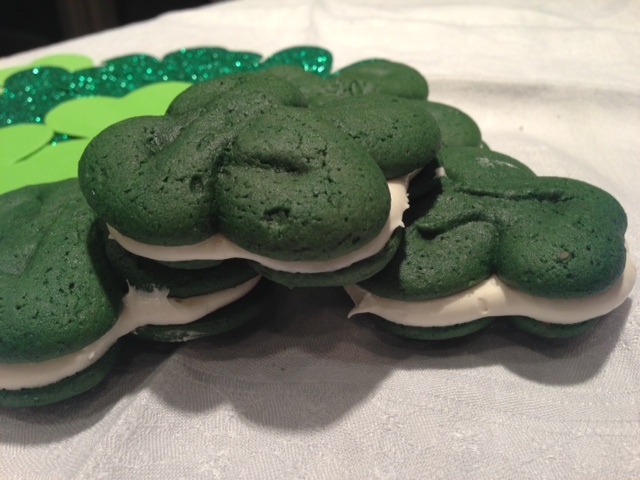 So instead of celebrating St Patrick’s DAy like many of you, I celebrated mine in my kitchen trying to make Shamrock Whoopie Pies. 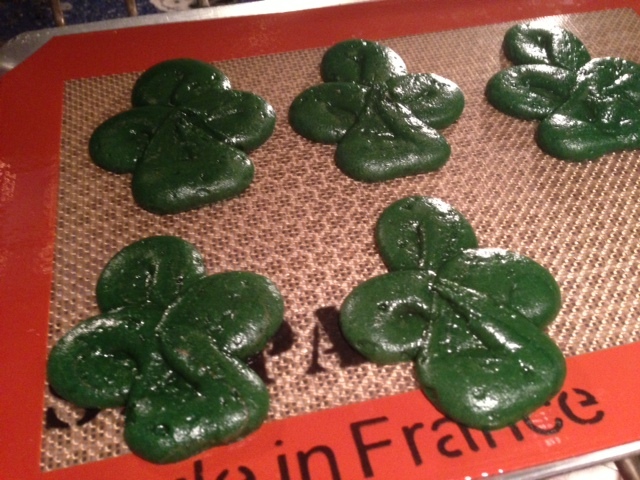 Well they look more like Fleur de Lys Thank Shamrock, but I certainly tried. Preheat oven to 375 degrees. Prepare 2 large perforated sheets by placing a large silpat on two perforated sheets. 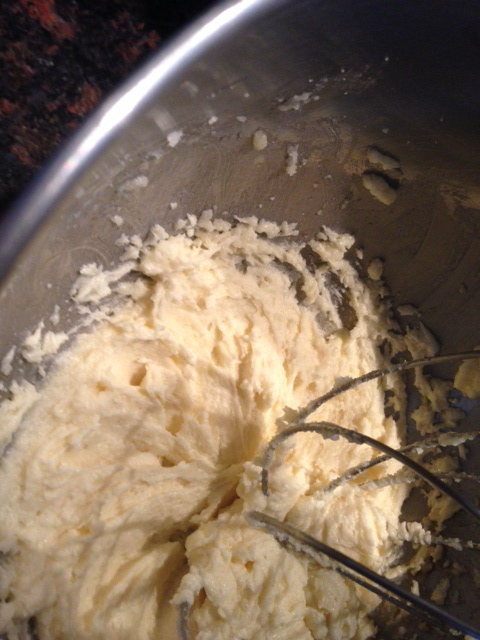 In a mixer, beat the butter and the sugar on medium high-speed until it is light and fluffy. Add the egg and beat until it is well incorporated. Add the vanilla and the corn syrup and beat about 30 seconds more. 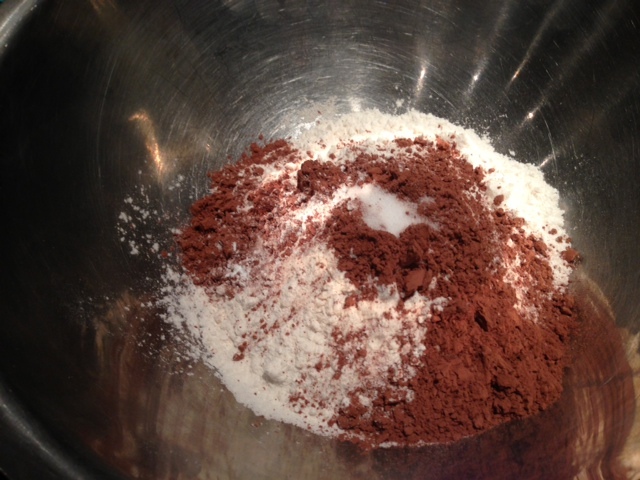 In a large bowl, mix together flour, cocoa, baking powder and salt. Add 1/3 of the mix to the batter and beat on low speed until it is just incorporated. Add 1/2 of the buttermilk and beat until just incorporated. Repeat step 5 until you have used all the dry mix and all the buttermilk. 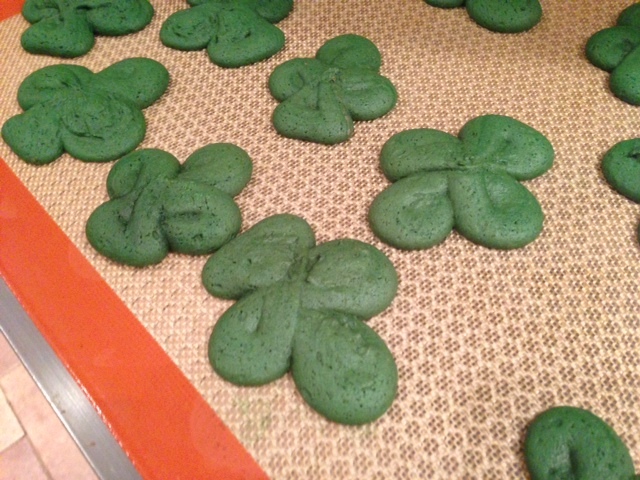 Add food coloring.Do not over beat. 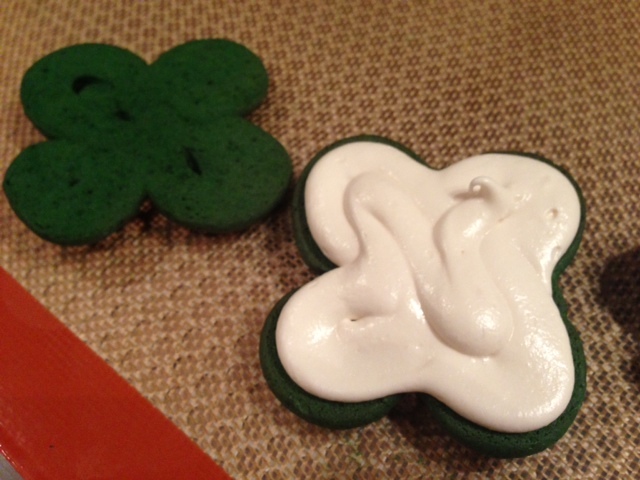 Transfer the batter to a piping bag fitted with a large round tip and pipe the dough onto the silpat by making shamrocks. Place the perforated sheet into the oven and bake about 6 (if on a silpat and perforarted sheet), otherwise 8 minutes or until the cookies are set. When cooked, let them cool on the perforated sheet. Place all the ingredients into a mixer and beat until it becomes thick. Spoon the filling into a pastry bag and pipe the filling onto a whoopie pie. Place a top on each whoppie pie et voila!! !